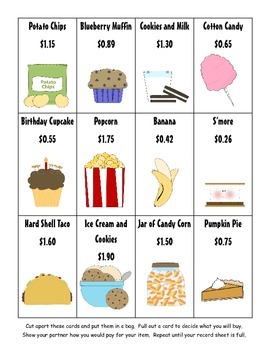 Use this activity to help your students practice paying for items with coin combinations. 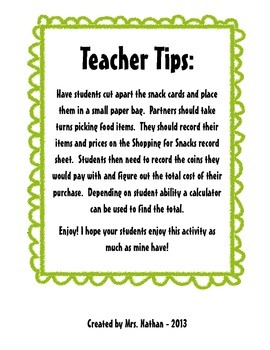 Students cut apart the snack cards and choose them from a bag. 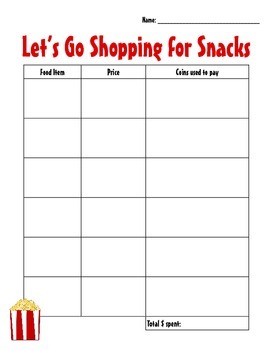 They then record their items and draw coins to pay for those items. I plan to use this as an extension in my 2nd grade Everyday Math lessons.